We are within walking distance of US Post Office, Grocery Store, Information Center and Bank. Two room suites with one bed in each room. Satellite TV (ABC, CBS, NBC, FOX, The Encore Channel and Animal Planet). Microwave, Refrigerator and Coffee Maker W/Coffee, Sugar and Cups. to check motel availability on your dates of travel. We now offer drop off laundry services for the busy workers and those crunched for time. Drop it off and we will wash, dry and fold for you! Fee based on a per pound rate. Pick up your laundry the next day. You can request upstairs or downstairs. 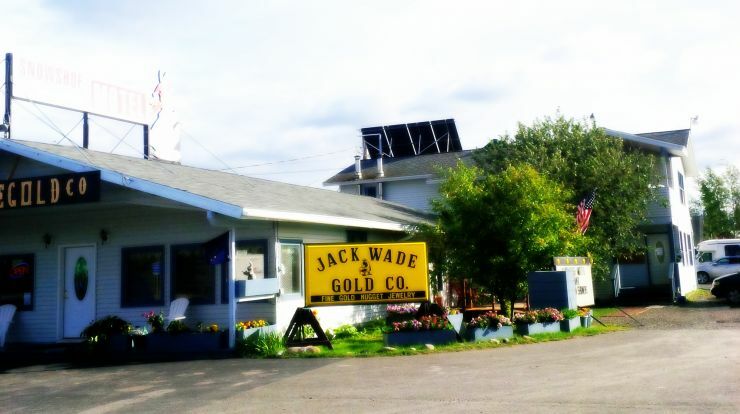 Visit the Jack Wade Gold Co. located just north of our facility and browse for some unique Alaskan made gold jewelry. We strive to make your visit to Tok or your travel along the Alaska Highway, more memorable with the best motel facility, great management and the best location! Our 24 room motel offers super clean rooms in a family atmosphere and has the best access to the largest local grocery store which is right next door so you can walk over to shop for dinner and use our in room microwave and refrigerators for preparation and storage. 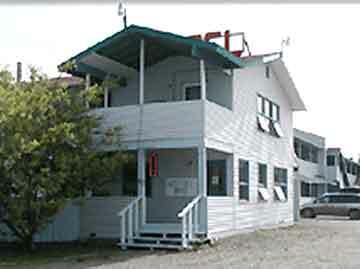 We are the most centrally located motel in Tok, Alaska!